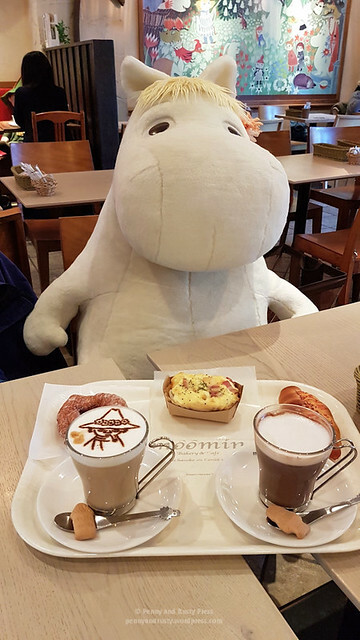 Did we spend too much time at Moomin Cafe? Probably, but who can resist dining with your favourite Moomin character? Day 12 in Japan was the day that we were scheduled to fly back to Vancouver. Although we had a great time in Japan and saw and ate so many great things, we were starting to feel homesick. We managed to catch the right Skyliner train to the airport (we were extra careful because we didn’t want to miss our train like we did when we were travelling from Osaka to Tokyo). To accomplish this, we left fairly early and had plenty of time at Narita. I have to say that the food options at Narita International Airport are pretty good. 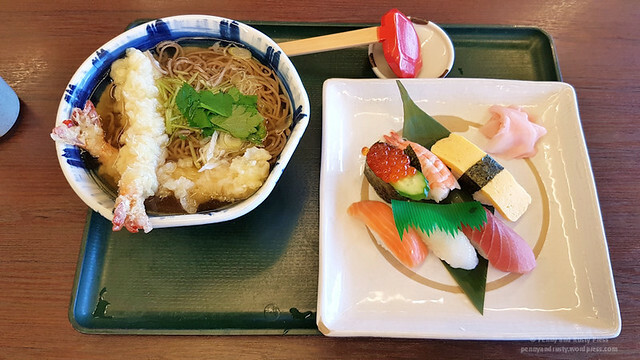 We opted for Sojibou which is located in the departing Terminal 2. 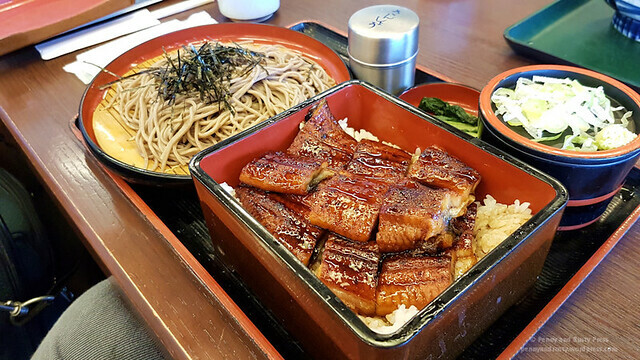 This soba restaurant had an amazing set with unagi on rice accompanied by cold dipping noodles. There was so much tender unagi in this dish! Service, however, wasn’t as good here. 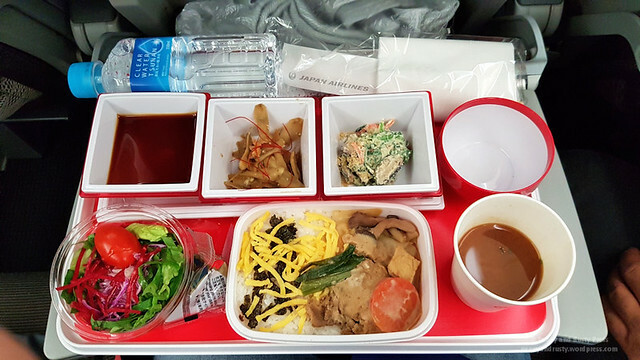 One of the things I like about flying Japan Airlines is their food. 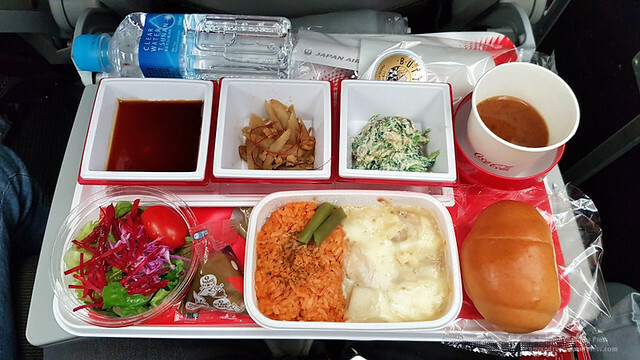 They’ve tapped 6 young chefs from Japan’s largest culinary competition (RED U-35) to create new in-flight meals for their passengers. 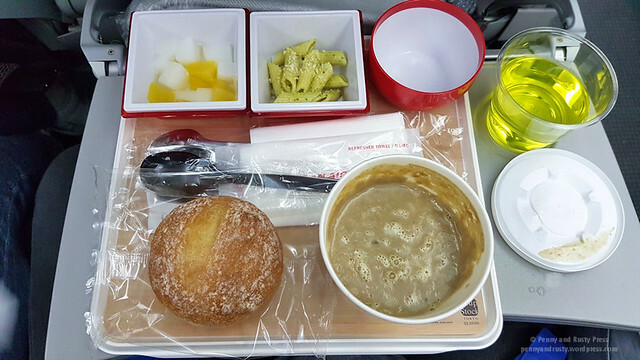 For our “breakfast” we had a lighter meal consisting of sauteed mushroom soup with veggies and chicken served with a hearty bun, cold pasta salad, and dessert. The soup was quite comforting as it warmed me up. 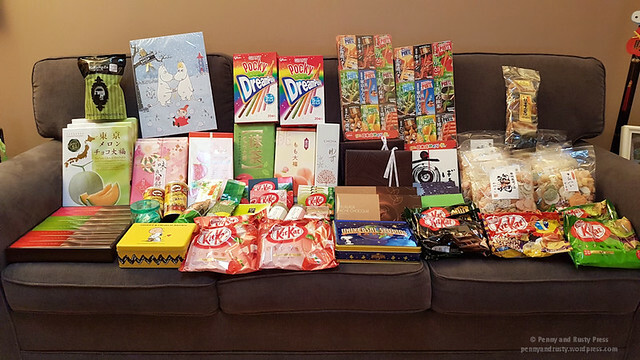 When we finally got back home, we unpacked our haul (I feel like our suitcases were filled with 90% food). As I’m writing this, we’ve almost finished all of the food. Well… that pretty much sums up our 2017 trip to Japan. On to more food adventures!